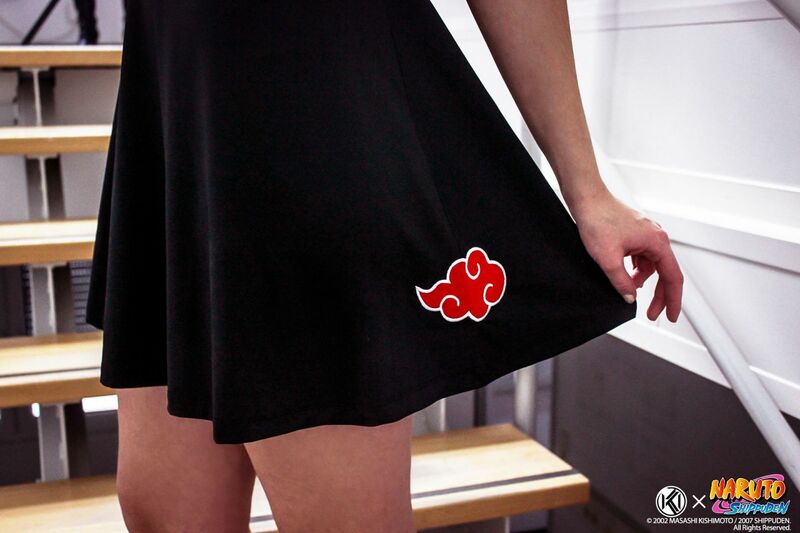 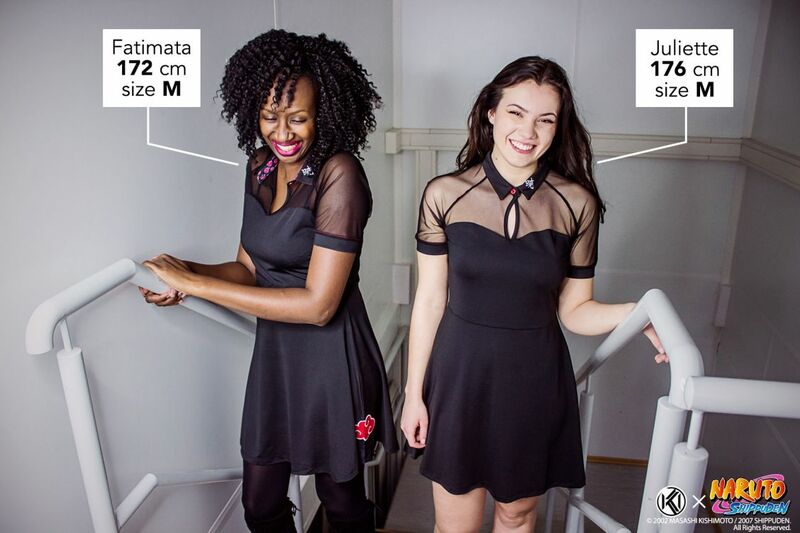 Join the Akatsuki, the evil organization from Naruto Shippuden, with this elegant dress! 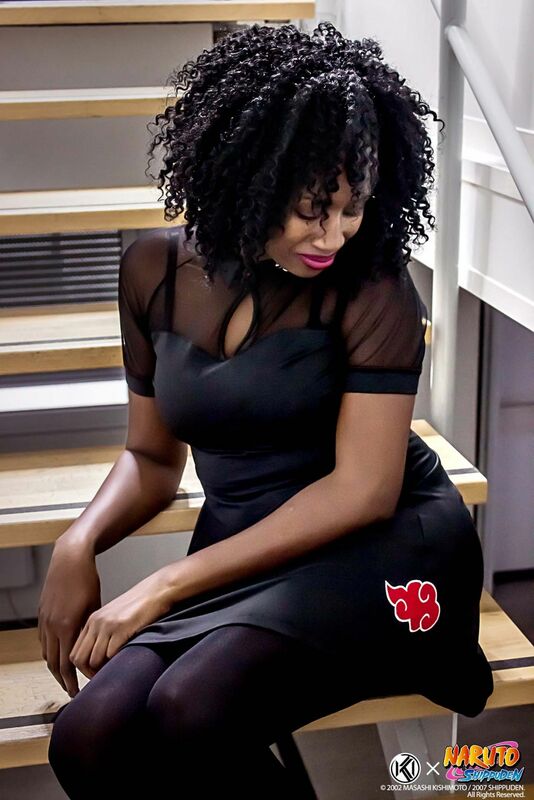 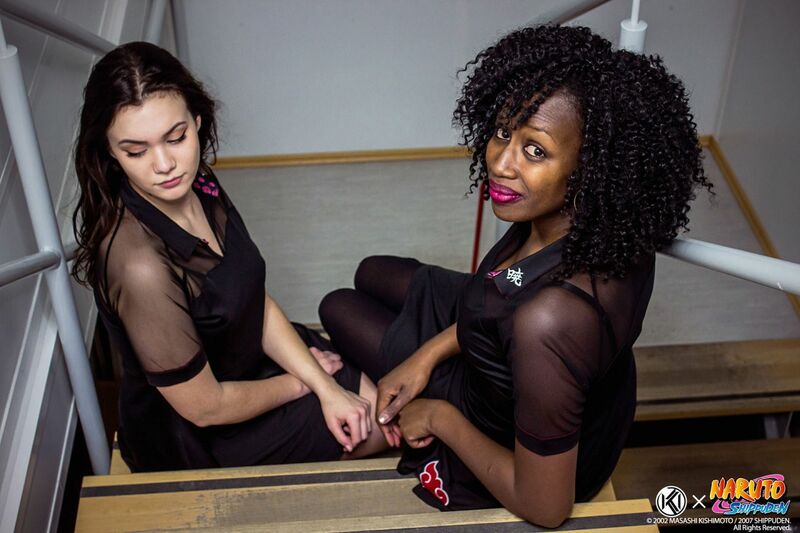 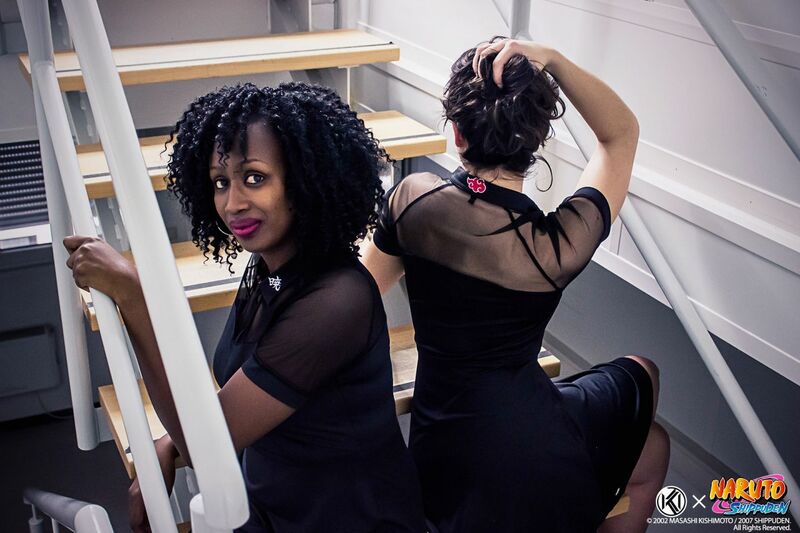 All in black with subtle red seams at sleeves and collar, the dress features the famous cloud from the Akatsuki embroidered on both the left side and the back of the collar. 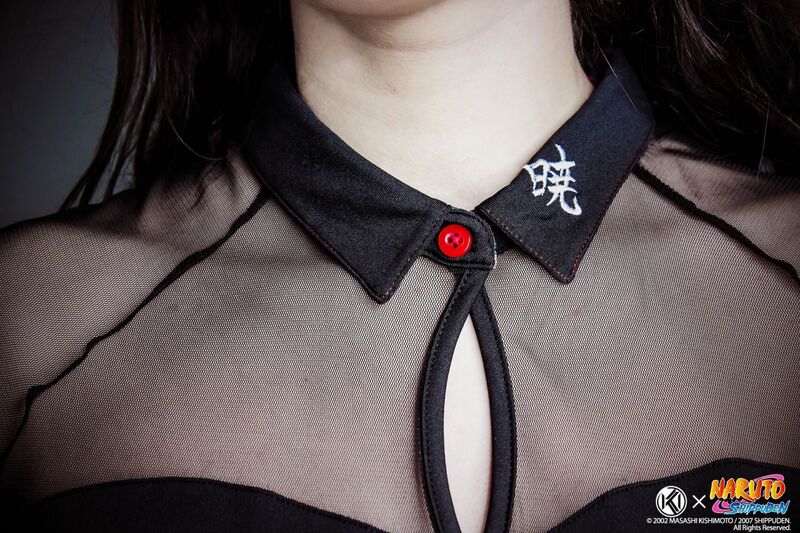 The flat pointed collar is marked with the kanji “暁”, which means “Akatsuki”. 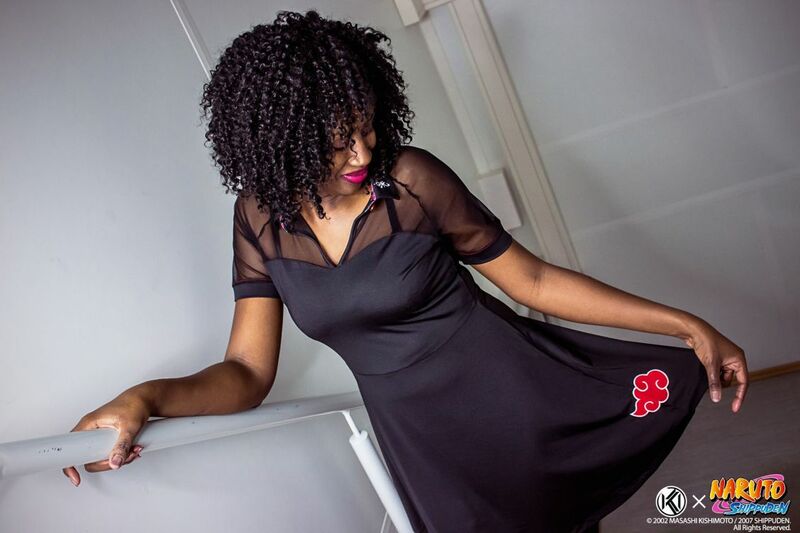 The skater cut, which is flared from the waist, makes it comfortable to wear in all occasion and will fit any type of body.